Classy colt Verstappen gave his connections plenty to ponder about over the weekend following an excellent trial at Flemington on Friday morning. Pitted in an 800m trial down the Flemington straight against Group 1 winners Extreme Choice, Astern, Turn Me Loose and the unbeaten Group 2 winner Russian Revolution, Vertsappen settled back in the jump out before finding the line strongly to finish only a neck from the winner of the trial. Jockey Craig Williams was thrilled with the son of Stratum's effort. 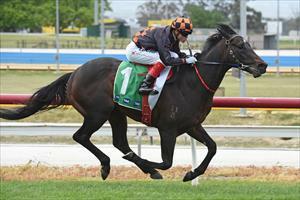 "He has come on very well from his imposing win at Cranbourne a couple of weeks back. That was a hot trial and he was very, very good," Williams said. Verstappen's main rivals in the trial will line up in the Group 1 Coolmore Stakes on Derby Day. "Wherever he runs next I will be on his back," Williams added. Trainer Danny O'Brien had originally planned to run the three-year-old in a 1400m listed event against his age group on Stakes Day, so it will be interesting to see if this morning's effort changes his sights with the exciting colt.